Hello, please give us a shout and let us know what you think of this 2019 MAZDA CX-3 SPORT FWD . This vehicle is 46G MACHINE GRA , withD0E BLACK interior. This vehicle has a HARD top,automatic transmission and a4 Cylinder Engine engine under the hood. Welcome to McLarty Mazda! 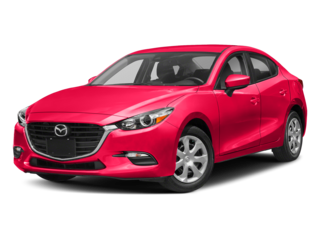 Located in Sherwood, AR, McLarty Mazda is proud to be one of the premier dealerships in the area. From the moment you walk into our showroom, you'll know our commitment to Customer Service is second to none. We strive to make your experience with McLarty Mazda a good one - for the life of your vehicle. Whether you need to Purchase,Finance, or Service a New or Pre-Owned Mazda, you've come to the right place. Call 888-593-1871 for your No-Obligation Internet Price Quote from our Internet Department At McLarty Mazda we are committed to providing everyone who enters our dealership with world-class customer service. Whether you are coming in to test drive a new Mazda, inquiring about a pre-owned vehicle, dropping your car off for a scheduled maintenance, or ordering genuine Mazda parts, our friendly knowledgeable staff is ready to assist you in any way possible. More than a dealership,we want to be the trusted resource for all your automotive needs. Stop by our showroom located at 6030 Landers Road, Sherwood, AR, 72117, give us a call at 1-866-972-2004. or visit us online anytime at www.McLartyMAZDA.com . We look forward to seeing you soon! Hello, please give us a shout and let us know what you think of this 2019 MAZDA CX-3 SPORT FWD . This vehicle is WHITE , withD0E BLACK interior. This vehicle has a HARD top,automatic transmission and a4 Cylinder Engine engine under the hood. Welcome to McLarty Mazda! Located in Sherwood, AR, McLarty Mazda is proud to be one of the premier dealerships in the area. From the moment you walk into our showroom, you'll know our commitment to Customer Service is second to none. We strive to make your experience with McLarty Mazda a good one - for the life of your vehicle. Whether you need to Purchase,Finance, or Service a New or Pre-Owned Mazda, you've come to the right place. Call 888-593-1871 for your No-Obligation Internet Price Quote from our Internet Department At McLarty Mazda we are committed to providing everyone who enters our dealership with world-class customer service. Whether you are coming in to test drive a new Mazda, inquiring about a pre-owned vehicle, dropping your car off for a scheduled maintenance, or ordering genuine Mazda parts, our friendly knowledgeable staff is ready to assist you in any way possible. More than a dealership,we want to be the trusted resource for all your automotive needs. Stop by our showroom located at 6030 Landers Road, Sherwood, AR, 72117, give us a call at 1-866-972-2004. or visit us online anytime at www.McLartyMAZDA.com . We look forward to seeing you soon! 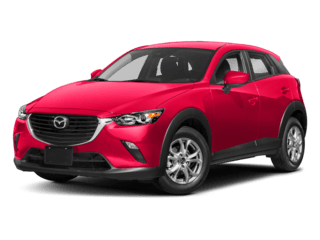 Hello, please give us a shout and let us know what you think of this 2019 MAZDA CX-3 SPORT AWD . This vehicle is GRAY , withD0E BLACK interior. This vehicle has a HARD top,automatic transmission and a4 Cylinder Engine engine under the hood. Welcome to McLarty Mazda! Located in Sherwood, AR, McLarty Mazda is proud to be one of the premier dealerships in the area. From the moment you walk into our showroom, you'll know our commitment to Customer Service is second to none. We strive to make your experience with McLarty Mazda a good one - for the life of your vehicle. Whether you need to Purchase,Finance, or Service a New or Pre-Owned Mazda, you've come to the right place. Call 888-593-1871 for your No-Obligation Internet Price Quote from our Internet Department At McLarty Mazda we are committed to providing everyone who enters our dealership with world-class customer service. Whether you are coming in to test drive a new Mazda, inquiring about a pre-owned vehicle, dropping your car off for a scheduled maintenance, or ordering genuine Mazda parts, our friendly knowledgeable staff is ready to assist you in any way possible. More than a dealership,we want to be the trusted resource for all your automotive needs. Stop by our showroom located at 6030 Landers Road, Sherwood, AR, 72117, give us a call at 1-866-972-2004. or visit us online anytime at www.McLartyMAZDA.com . We look forward to seeing you soon! Hello, please give us a shout and let us know what you think of this 2019 MAZDA CX-3 TOURING FWD . This vehicle is BLACK , withD0F BLACK interior. This vehicle has a HARD top,automatic transmission and a4 Cylinder Engine engine under the hood. Welcome to McLarty Mazda! 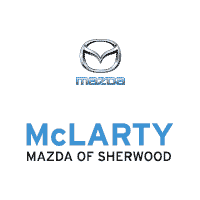 Located in Sherwood, AR, McLarty Mazda is proud to be one of the premier dealerships in the area. From the moment you walk into our showroom, you'll know our commitment to Customer Service is second to none. We strive to make your experience with McLarty Mazda a good one - for the life of your vehicle. Whether you need to Purchase,Finance, or Service a New or Pre-Owned Mazda, you've come to the right place. Call 888-593-1871 for your No-Obligation Internet Price Quote from our Internet Department At McLarty Mazda we are committed to providing everyone who enters our dealership with world-class customer service. Whether you are coming in to test drive a new Mazda, inquiring about a pre-owned vehicle, dropping your car off for a scheduled maintenance, or ordering genuine Mazda parts, our friendly knowledgeable staff is ready to assist you in any way possible. More than a dealership,we want to be the trusted resource for all your automotive needs. Stop by our showroom located at 6030 Landers Road, Sherwood, AR, 72117, give us a call at 1-866-972-2004. or visit us online anytime at www.McLartyMAZDA.com . We look forward to seeing you soon! Hello, please give us a shout and let us know what you think of this 2019 MAZDA CX-3 TOURING FWD . This vehicle is BLUE , withD0F BLACK interior. This vehicle has a SUNROOF top,automatic transmission and a4 Cylinder Engine engine under the hood. Welcome to McLarty Mazda! Located in Sherwood, AR, McLarty Mazda is proud to be one of the premier dealerships in the area. From the moment you walk into our showroom, you'll know our commitment to Customer Service is second to none. We strive to make your experience with McLarty Mazda a good one - for the life of your vehicle. Whether you need to Purchase,Finance, or Service a New or Pre-Owned Mazda, you've come to the right place. Call 888-593-1871 for your No-Obligation Internet Price Quote from our Internet Department At McLarty Mazda we are committed to providing everyone who enters our dealership with world-class customer service. Whether you are coming in to test drive a new Mazda, inquiring about a pre-owned vehicle, dropping your car off for a scheduled maintenance, or ordering genuine Mazda parts, our friendly knowledgeable staff is ready to assist you in any way possible. More than a dealership,we want to be the trusted resource for all your automotive needs. Stop by our showroom located at 6030 Landers Road, Sherwood, AR, 72117, give us a call at 1-866-972-2004. or visit us online anytime at www.McLartyMAZDA.com . We look forward to seeing you soon! Hello, please give us a shout and let us know what you think of this 2019 MAZDA CX-3 TOURING FWD . This vehicle is WHITE , withD0F BLACK interior. This vehicle has a SUNROOF top,automatic transmission and a4 Cylinder Engine engine under the hood. Welcome to McLarty Mazda! Located in Sherwood, AR, McLarty Mazda is proud to be one of the premier dealerships in the area. From the moment you walk into our showroom, you'll know our commitment to Customer Service is second to none. We strive to make your experience with McLarty Mazda a good one - for the life of your vehicle. Whether you need to Purchase,Finance, or Service a New or Pre-Owned Mazda, you've come to the right place. Call 888-593-1871 for your No-Obligation Internet Price Quote from our Internet Department At McLarty Mazda we are committed to providing everyone who enters our dealership with world-class customer service. Whether you are coming in to test drive a new Mazda, inquiring about a pre-owned vehicle, dropping your car off for a scheduled maintenance, or ordering genuine Mazda parts, our friendly knowledgeable staff is ready to assist you in any way possible. More than a dealership,we want to be the trusted resource for all your automotive needs. Stop by our showroom located at 6030 Landers Road, Sherwood, AR, 72117, give us a call at 1-866-972-2004. or visit us online anytime at www.McLartyMAZDA.com . We look forward to seeing you soon! Hello, please give us a shout and let us know what you think of this 2019 MAZDA CX-5 SPORT FWD . This vehicle is 45B ETERNAL BLU , withKD2 BLACK interior. This vehicle has a HARD top,automatic transmission and a4 Cylinder Engine engine under the hood. Welcome to McLarty Mazda! Located in Sherwood, AR, McLarty Mazda is proud to be one of the premier dealerships in the area. From the moment you walk into our showroom, you'll know our commitment to Customer Service is second to none. We strive to make your experience with McLarty Mazda a good one - for the life of your vehicle. Whether you need to Purchase,Finance, or Service a New or Pre-Owned Mazda, you've come to the right place. Call 888-593-1871 for your No-Obligation Internet Price Quote from our Internet Department At McLarty Mazda we are committed to providing everyone who enters our dealership with world-class customer service. Whether you are coming in to test drive a new Mazda, inquiring about a pre-owned vehicle, dropping your car off for a scheduled maintenance, or ordering genuine Mazda parts, our friendly knowledgeable staff is ready to assist you in any way possible. More than a dealership,we want to be the trusted resource for all your automotive needs. Stop by our showroom located at 6030 Landers Road, Sherwood, AR, 72117, give us a call at 1-866-972-2004. or visit us online anytime at www.McLartyMAZDA.com . We look forward to seeing you soon! Hello, please give us a shout and let us know what you think of this 2019 MAZDA CX-5 SPORT FWD . This vehicle is BLACK , withKD2 BLACK interior. This vehicle has a HARD top,automatic transmission and a4 Cylinder Engine engine under the hood. Welcome to McLarty Mazda! Located in Sherwood, AR, McLarty Mazda is proud to be one of the premier dealerships in the area. From the moment you walk into our showroom, you'll know our commitment to Customer Service is second to none. We strive to make your experience with McLarty Mazda a good one - for the life of your vehicle. Whether you need to Purchase,Finance, or Service a New or Pre-Owned Mazda, you've come to the right place. Call 888-593-1871 for your No-Obligation Internet Price Quote from our Internet Department At McLarty Mazda we are committed to providing everyone who enters our dealership with world-class customer service. Whether you are coming in to test drive a new Mazda, inquiring about a pre-owned vehicle, dropping your car off for a scheduled maintenance, or ordering genuine Mazda parts, our friendly knowledgeable staff is ready to assist you in any way possible. More than a dealership,we want to be the trusted resource for all your automotive needs. Stop by our showroom located at 6030 Landers Road, Sherwood, AR, 72117, give us a call at 1-866-972-2004. or visit us online anytime at www.McLartyMAZDA.com . We look forward to seeing you soon! Hello, please give us a shout and let us know what you think of this 2019 MAZDA CX-5 . This vehicle is 41W JET BLACK M , withKD2 BLACK interior. This vehicle has a top,Automatic transmission and a2.5 Liter engine under the hood. Welcome to McLarty Mazda! Located in Sherwood, AR, McLarty Mazda is proud to be one of the premier dealerships in the area. From the moment you walk into our showroom, you'll know our commitment to Customer Service is second to none. We strive to make your experience with McLarty Mazda a good one - for the life of your vehicle. Whether you need to Purchase,Finance, or Service a New or Pre-Owned Mazda, you've come to the right place. Call 888-593-1871 for your No-Obligation Internet Price Quote from our Internet Department At McLarty Mazda we are committed to providing everyone who enters our dealership with world-class customer service. Whether you are coming in to test drive a new Mazda, inquiring about a pre-owned vehicle, dropping your car off for a scheduled maintenance, or ordering genuine Mazda parts, our friendly knowledgeable staff is ready to assist you in any way possible. More than a dealership,we want to be the trusted resource for all your automotive needs. Stop by our showroom located at 6030 Landers Road, Sherwood, AR, 72117, give us a call at 1-866-972-2004. or visit us online anytime at www.McLartyMAZDA.com . We look forward to seeing you soon! Hello, please give us a shout and let us know what you think of this 2019 MAZDA CX-5 TOURING FWD . This vehicle is BLACK , withKD8 BLACK interior. This vehicle has a HARD top,automatic transmission and a4 Cylinder Engine engine under the hood. Welcome to McLarty Mazda! Located in Sherwood, AR, McLarty Mazda is proud to be one of the premier dealerships in the area. From the moment you walk into our showroom, you'll know our commitment to Customer Service is second to none. We strive to make your experience with McLarty Mazda a good one - for the life of your vehicle. Whether you need to Purchase,Finance, or Service a New or Pre-Owned Mazda, you've come to the right place. Call 888-593-1871 for your No-Obligation Internet Price Quote from our Internet Department At McLarty Mazda we are committed to providing everyone who enters our dealership with world-class customer service. Whether you are coming in to test drive a new Mazda, inquiring about a pre-owned vehicle, dropping your car off for a scheduled maintenance, or ordering genuine Mazda parts, our friendly knowledgeable staff is ready to assist you in any way possible. More than a dealership,we want to be the trusted resource for all your automotive needs. Stop by our showroom located at 6030 Landers Road, Sherwood, AR, 72117, give us a call at 1-866-972-2004. or visit us online anytime at www.McLartyMAZDA.com . We look forward to seeing you soon! Hello, please give us a shout and let us know what you think of this 2019 MAZDA CX-5 TOURING FWD . This vehicle is WHITE , withKD9 SILK BEIGE interior. This vehicle has a HARD top,automatic transmission and a4 Cylinder Engine engine under the hood. Welcome to McLarty Mazda! Located in Sherwood, AR, McLarty Mazda is proud to be one of the premier dealerships in the area. From the moment you walk into our showroom, you'll know our commitment to Customer Service is second to none. We strive to make your experience with McLarty Mazda a good one - for the life of your vehicle. Whether you need to Purchase,Finance, or Service a New or Pre-Owned Mazda, you've come to the right place. 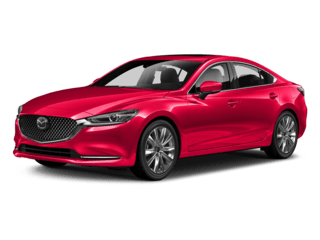 Call 888-593-1871 for your No-Obligation Internet Price Quote from our Internet Department At McLarty Mazda we are committed to providing everyone who enters our dealership with world-class customer service. Whether you are coming in to test drive a new Mazda, inquiring about a pre-owned vehicle, dropping your car off for a scheduled maintenance, or ordering genuine Mazda parts, our friendly knowledgeable staff is ready to assist you in any way possible. More than a dealership,we want to be the trusted resource for all your automotive needs. Stop by our showroom located at 6030 Landers Road, Sherwood, AR, 72117, give us a call at 1-866-972-2004. or visit us online anytime at www.McLartyMAZDA.com . We look forward to seeing you soon! Hello, please give us a shout and let us know what you think of this 2019 MAZDA CX-3 GRAND TOURING FWD . This vehicle is WHITE , withD0H PARCHMENT L interior. This vehicle has a SUNROOF top,automatic transmission and a4 Cylinder Engine engine under the hood. Welcome to McLarty Mazda! Located in Sherwood, AR, McLarty Mazda is proud to be one of the premier dealerships in the area. From the moment you walk into our showroom, you'll know our commitment to Customer Service is second to none. We strive to make your experience with McLarty Mazda a good one - for the life of your vehicle. Whether you need to Purchase,Finance, or Service a New or Pre-Owned Mazda, you've come to the right place. Call 888-593-1871 for your No-Obligation Internet Price Quote from our Internet Department At McLarty Mazda we are committed to providing everyone who enters our dealership with world-class customer service. Whether you are coming in to test drive a new Mazda, inquiring about a pre-owned vehicle, dropping your car off for a scheduled maintenance, or ordering genuine Mazda parts, our friendly knowledgeable staff is ready to assist you in any way possible. More than a dealership,we want to be the trusted resource for all your automotive needs. Stop by our showroom located at 6030 Landers Road, Sherwood, AR, 72117, give us a call at 1-866-972-2004. or visit us online anytime at www.McLartyMAZDA.com . We look forward to seeing you soon! Hello, please give us a shout and let us know what you think of this 2019 MAZDA CX-5 TOURING FWD . This vehicle is BLUE , withKD8 BLACK interior. This vehicle has a SUNROOF top,automatic transmission and a4 Cylinder Engine engine under the hood. Welcome to McLarty Mazda! Located in Sherwood, AR, McLarty Mazda is proud to be one of the premier dealerships in the area. From the moment you walk into our showroom, you'll know our commitment to Customer Service is second to none. We strive to make your experience with McLarty Mazda a good one - for the life of your vehicle. Whether you need to Purchase,Finance, or Service a New or Pre-Owned Mazda, you've come to the right place. Call 888-593-1871 for your No-Obligation Internet Price Quote from our Internet Department At McLarty Mazda we are committed to providing everyone who enters our dealership with world-class customer service. Whether you are coming in to test drive a new Mazda, inquiring about a pre-owned vehicle, dropping your car off for a scheduled maintenance, or ordering genuine Mazda parts, our friendly knowledgeable staff is ready to assist you in any way possible. More than a dealership,we want to be the trusted resource for all your automotive needs. Stop by our showroom located at 6030 Landers Road, Sherwood, AR, 72117, give us a call at 1-866-972-2004. or visit us online anytime at www.McLartyMAZDA.com . We look forward to seeing you soon! Hello, please give us a shout and let us know what you think of this 2019 MAZDA CX-5 TOURING FWD . This vehicle is WHITE , withKD9 SILK BEIGE interior. This vehicle has a SUNROOF top,automatic transmission and a4 Cylinder Engine engine under the hood. Welcome to McLarty Mazda! Located in Sherwood, AR, McLarty Mazda is proud to be one of the premier dealerships in the area. From the moment you walk into our showroom, you'll know our commitment to Customer Service is second to none. We strive to make your experience with McLarty Mazda a good one - for the life of your vehicle. Whether you need to Purchase,Finance, or Service a New or Pre-Owned Mazda, you've come to the right place. Call 888-593-1871 for your No-Obligation Internet Price Quote from our Internet Department At McLarty Mazda we are committed to providing everyone who enters our dealership with world-class customer service. Whether you are coming in to test drive a new Mazda, inquiring about a pre-owned vehicle, dropping your car off for a scheduled maintenance, or ordering genuine Mazda parts, our friendly knowledgeable staff is ready to assist you in any way possible. More than a dealership,we want to be the trusted resource for all your automotive needs. Stop by our showroom located at 6030 Landers Road, Sherwood, AR, 72117, give us a call at 1-866-972-2004. or visit us online anytime at www.McLartyMAZDA.com . We look forward to seeing you soon! 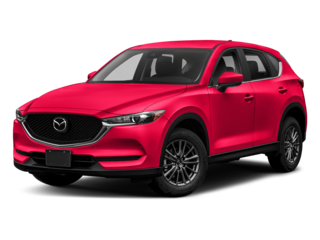 Hello, please give us a shout and let us know what you think of this 2019 MAZDA CX-5 . This vehicle is 25D SNOWFLAKE W , withKD8 BLACK interior. This vehicle has a top,Automatic transmission and aPY 21313591 engine under the hood. Welcome to McLarty Mazda! Located in Sherwood, AR, McLarty Mazda is proud to be one of the premier dealerships in the area. From the moment you walk into our showroom, you'll know our commitment to Customer Service is second to none. We strive to make your experience with McLarty Mazda a good one - for the life of your vehicle. Whether you need to Purchase,Finance, or Service a New or Pre-Owned Mazda, you've come to the right place. 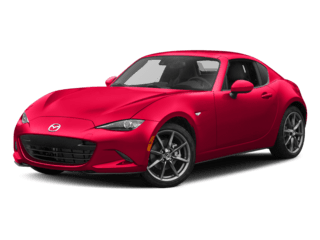 Call 888-593-1871 for your No-Obligation Internet Price Quote from our Internet Department At McLarty Mazda we are committed to providing everyone who enters our dealership with world-class customer service. Whether you are coming in to test drive a new Mazda, inquiring about a pre-owned vehicle, dropping your car off for a scheduled maintenance, or ordering genuine Mazda parts, our friendly knowledgeable staff is ready to assist you in any way possible. More than a dealership,we want to be the trusted resource for all your automotive needs. 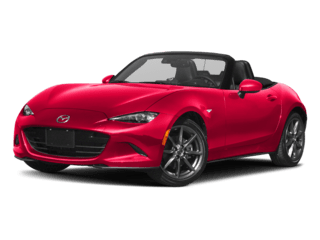 Stop by our showroom located at 6030 Landers Road, Sherwood, AR, 72117, give us a call at 1-866-972-2004. or visit us online anytime at www.McLartyMAZDA.com . We look forward to seeing you soon! Hello, please give us a shout and let us know what you think of this 2019 MAZDA CX-5 . This vehicle is 46G MACHINE GRA , withKD6 BLACK interior. This vehicle has a top,Automatic transmission and a2.5 Liter engine under the hood. Welcome to McLarty Mazda! Located in Sherwood, AR, McLarty Mazda is proud to be one of the premier dealerships in the area. From the moment you walk into our showroom, you'll know our commitment to Customer Service is second to none. We strive to make your experience with McLarty Mazda a good one - for the life of your vehicle. Whether you need to Purchase,Finance, or Service a New or Pre-Owned Mazda, you've come to the right place. 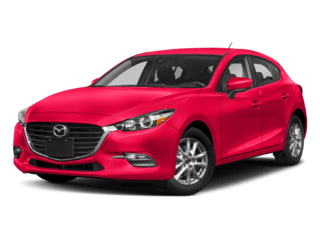 Call 888-593-1871 for your No-Obligation Internet Price Quote from our Internet Department At McLarty Mazda we are committed to providing everyone who enters our dealership with world-class customer service. Whether you are coming in to test drive a new Mazda, inquiring about a pre-owned vehicle, dropping your car off for a scheduled maintenance, or ordering genuine Mazda parts, our friendly knowledgeable staff is ready to assist you in any way possible. More than a dealership,we want to be the trusted resource for all your automotive needs. Stop by our showroom located at 6030 Landers Road, Sherwood, AR, 72117, give us a call at 1-866-972-2004. or visit us online anytime at www.McLartyMAZDA.com . We look forward to seeing you soon! Hello, please give us a shout and let us know what you think of this 2019 MAZDA CX-5 GRAND TOURING FWD . This vehicle is RED , withKD6 BLACK interior. This vehicle has a SUNROOF top,automatic transmission and a4 Cylinder Engine engine under the hood. Welcome to McLarty Mazda! Located in Sherwood, AR, McLarty Mazda is proud to be one of the premier dealerships in the area. From the moment you walk into our showroom, you'll know our commitment to Customer Service is second to none. We strive to make your experience with McLarty Mazda a good one - for the life of your vehicle. Whether you need to Purchase,Finance, or Service a New or Pre-Owned Mazda, you've come to the right place. Call 888-593-1871 for your No-Obligation Internet Price Quote from our Internet Department At McLarty Mazda we are committed to providing everyone who enters our dealership with world-class customer service. Whether you are coming in to test drive a new Mazda, inquiring about a pre-owned vehicle, dropping your car off for a scheduled maintenance, or ordering genuine Mazda parts, our friendly knowledgeable staff is ready to assist you in any way possible. More than a dealership,we want to be the trusted resource for all your automotive needs. Stop by our showroom located at 6030 Landers Road, Sherwood, AR, 72117, give us a call at 1-866-972-2004. or visit us online anytime at www.McLartyMAZDA.com . We look forward to seeing you soon! Hello, please give us a shout and let us know what you think of this 2019 MAZDA CX-5 . This vehicle is 46V SOUL RED CR , withKD7 PARCHMENT interior. This vehicle has a top,Automatic transmission and a2.5 Liter engine under the hood. Welcome to McLarty Mazda! Located in Sherwood, AR, McLarty Mazda is proud to be one of the premier dealerships in the area. From the moment you walk into our showroom, you'll know our commitment to Customer Service is second to none. We strive to make your experience with McLarty Mazda a good one - for the life of your vehicle. Whether you need to Purchase,Finance, or Service a New or Pre-Owned Mazda, you've come to the right place. Call 888-593-1871 for your No-Obligation Internet Price Quote from our Internet Department At McLarty Mazda we are committed to providing everyone who enters our dealership with world-class customer service. Whether you are coming in to test drive a new Mazda, inquiring about a pre-owned vehicle, dropping your car off for a scheduled maintenance, or ordering genuine Mazda parts, our friendly knowledgeable staff is ready to assist you in any way possible. More than a dealership,we want to be the trusted resource for all your automotive needs. Stop by our showroom located at 6030 Landers Road, Sherwood, AR, 72117, give us a call at 1-866-972-2004. or visit us online anytime at www.McLartyMAZDA.com . We look forward to seeing you soon! Hello, please give us a shout and let us know what you think of this 2019 MAZDA CX-5 GRAND TOURING FWD . This vehicle is BLUE , withKD6 BLACK interior. This vehicle has a SUNROOF top,automatic transmission and a4 Cylinder Engine engine under the hood. Welcome to McLarty Mazda! Located in Sherwood, AR, McLarty Mazda is proud to be one of the premier dealerships in the area. From the moment you walk into our showroom, you'll know our commitment to Customer Service is second to none. We strive to make your experience with McLarty Mazda a good one - for the life of your vehicle. Whether you need to Purchase,Finance, or Service a New or Pre-Owned Mazda, you've come to the right place. Call 888-593-1871 for your No-Obligation Internet Price Quote from our Internet Department At McLarty Mazda we are committed to providing everyone who enters our dealership with world-class customer service. Whether you are coming in to test drive a new Mazda, inquiring about a pre-owned vehicle, dropping your car off for a scheduled maintenance, or ordering genuine Mazda parts, our friendly knowledgeable staff is ready to assist you in any way possible. More than a dealership,we want to be the trusted resource for all your automotive needs. Stop by our showroom located at 6030 Landers Road, Sherwood, AR, 72117, give us a call at 1-866-972-2004. or visit us online anytime at www.McLartyMAZDA.com . We look forward to seeing you soon! 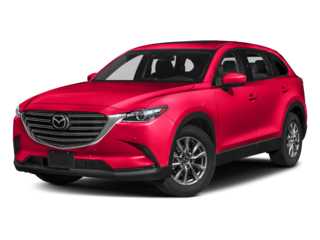 Hello, please give us a shout and let us know what you think of this 2019 MAZDA CX-5 . This vehicle is 41W JET BLACK M , withKD6 BLACK interior. This vehicle has a top,Automatic transmission and a2.5 Liter engine under the hood. Welcome to McLarty Mazda! Located in Sherwood, AR, McLarty Mazda is proud to be one of the premier dealerships in the area. From the moment you walk into our showroom, you'll know our commitment to Customer Service is second to none. We strive to make your experience with McLarty Mazda a good one - for the life of your vehicle. Whether you need to Purchase,Finance, or Service a New or Pre-Owned Mazda, you've come to the right place. Call 888-593-1871 for your No-Obligation Internet Price Quote from our Internet Department At McLarty Mazda we are committed to providing everyone who enters our dealership with world-class customer service. Whether you are coming in to test drive a new Mazda, inquiring about a pre-owned vehicle, dropping your car off for a scheduled maintenance, or ordering genuine Mazda parts, our friendly knowledgeable staff is ready to assist you in any way possible. More than a dealership,we want to be the trusted resource for all your automotive needs. Stop by our showroom located at 6030 Landers Road, Sherwood, AR, 72117, give us a call at 1-866-972-2004. or visit us online anytime at www.McLartyMAZDA.com . We look forward to seeing you soon! New vehicle pricing includes all offers and incentives. Tax, Title and Tags not included in vehicle prices shown and must be paid by the purchaser. While great effort is made to ensure the accuracy of the information on this site, errors do occur so please verify information with a customer service rep. This is easily done by calling us at (877) 574-6210 or by visiting us at the dealership. Not all vehicles are equipped with dealer-installed adds. Therefore, pricing for new vehicles does not reflect the additional cost for the McLarty Protection Package: nitrogen filled tires, splash guards, door edge guards, door handle cup guards, and rear bumper guards. If a new vehicle is equipped with the McLarty Protection Package the price is subject to change to reflect these additional costs.